For advertising, business development opportunities, booking, interviews, celebrity tips, or general questions, please forward all inquiries to yodonbleekraps@gmail.com. YDBR welcome new and independent designers, and would be happy to do an exclusive interview, write about you and feature your brand on the site. You must have a website or online store, lookbook, Twitter and Instagram. Include photos and link to your site when you email us at yodonbleekraps@gmail.com. YDBR accepts products for reviews as well as giveaways. Please note that if we accept a product, it does not make us obligated to feature it on the site. YDBR also accepts sponsorship, donations and other marketing opportunities. For questions, please forward all inquiries to yodonbleekraps@gmail.com. Im from Camden n that story u wrote about that girl is a shame she gone make us all look like we are sleeping wit white men for money. She do what she do but dont make us look bader than we already do/ Jazzma u aint Naomi Campbell u been smoking too much of weed. ur mind playing tricks on you. face is whooped. Straight from munich germany watching your blog 24hr !! keep up the good work !! You might know what biker Joe Budden is wearing? istagram earlier today. What kind of backpack is Lebron rocking? Hey what kind of backpack is this? Was curious to know if you happen to see what brand Meek Mill’s clear lens shades were? Not your typical Ray Bans..
Hi Don, I was curious upon the polo Jim Jones was wearing, the Boss green U.S.A World Cup soccer polo and where I could buy it ?? I’ve been looking everywhere for it but cannot find a retailer. If you could let me know or have any info on it, it would be appreciated greatly, thanks. 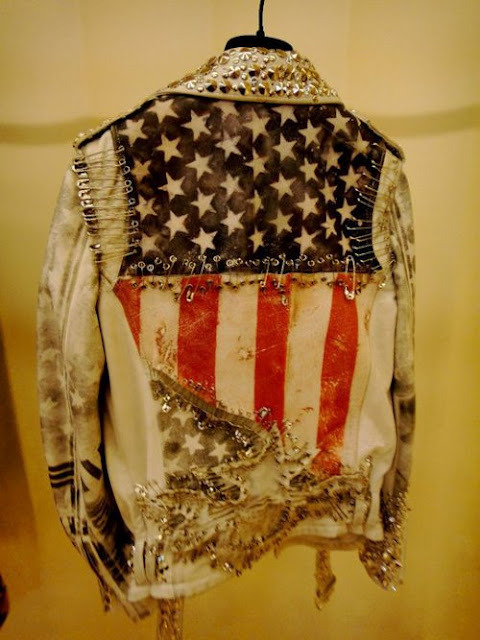 Yes, it is a Balmain Studded Flag Jacket. It cost $20,440. I am about to do a post on it. bro do u know what kinda jacket is that? yo wus good , my name is kasi aka dope ive done two mixtapes with dollah the rapper i just wanted to hit u up and let you know that im heading down to the city to do some promoting in 4 weeks (hopefully ) and wanted to see if you would be interested in managing me too?